If the sales of a firms new product is high because of decreasing sales of its existing and established product then we can say that cannibalization has occurred. In brief we can say that the firm is actually eating away its own market. A good example of cannibalization would be Hyundai Santro. They have introduced Santro Xing as a new product in the market. In other way they have cannibalized their own market. A person who wanted to buy Santro old model will now buy a Xing as it is the latest product. Thus they are not capturing new customers but converting their own customers to a product within their brand. However, if they were able to make a person buy their product where he was planning to buy some product of Maruti then it is not cannibalization. Thats plane old marketing – breaking the competition. 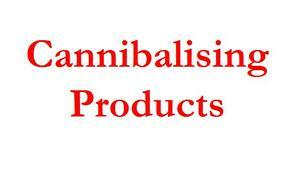 If you want to avoid cannibalization, the new product should not be identified too closely with established products. Instead it should be targeted with new appeals to different market segments. Cannibalization is desirable when margins on new products are higher than those on established Products. In highly competitive industries, it is often desirable to induce target customers to trade up to the firm’s newer products. This strategy is adopted by Videocon International, Which entered the market with a low priced color TV with basic features and then introduced more sophisticated models and increased the price scale in order to ensure that customers in medium as well as high range segments would buy Videocon products. I cannot understand the uses of cannibalization.Can u plz tell me any proper book or website through which i can easily understand this. It,s really honor for me if u tell me about cannibalization.